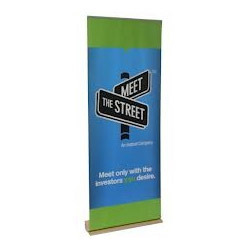 We are recognized as the prominent manufacturer and supplier of a wide collection of Vertical Banner Stand. Under the supervision of our diligent professionals, these stands are used in shopping malls, shops for promotion of several products. To manufacture these stands, our deft professionals use optimum grade basic material with the aid of pioneered techniques at our well-established manufacturing unit. These stands are thoroughly inspected on diverse quality parameters in order to ensure its flawlessness. Founded in the year 2007, we “Damsel Enterprises”, are reputed Manufacturer and Supplier of the best class Flex Board, Sign Board, Foam Board, Glow Sign Board, Safety Sign Board, Advertising Product, Display Banner Stand, Portable Banner Stand, Advertising Hoarding and Exhibition Display Panel. Located at Pune (Maharashtra, India), we have constructed an ultramodern and robust infrastructural unit that is the backbone of our company. Cover a large area, this infrastructural unit assists us in the production of premium quality printing, flex and hoarding boards. This infrastructural unit is further segregated into plenty of capacious and well functional sub-units like procurement, production, quality testing, sales, warehousing, packaging and many more. All the sub-units are well armed with the essential amenities, all our sub-units are look after by our experienced and knowledgeable professionals. Due to their support, we have been able to accomplish the variegated needs of the clients in a timely manner. We have gained a huge client base across the nation owing to our punctual delivery, easy mode of payment, ethical business policies, positive records and clients & quality focused approach. Under the leadership of our CEO “Mrs Sunanda Surwase”, we have gained huge success in this domain. Apart from this, we are engaged in offering Flex Printing Service, Vinyl Printing Service, Offset Printing Service, Logo Designing Service and Letterhead Printing Service to our clients. These printing services are imparted by our experienced professionals with the help of the latest machines and tools.